This tool can be used to load webMAN with PS3 ISO support on non-Cobra CFW. The tool is based on IRISMAN. It simply loads the CFW payloads & patches, installs the mamba payload in memory and starts the VSH PRX loader with webMAN-MOD. Alexander is back with another 4.66 Release following his FERROX 4.66 CFW, this time around the developer has released FERROX - OFW 4.66 DUALBOOT. This is an OFW for CFW user's. What this does is allow you to install this OFW to play your disc games safety on PSN, but will allow you to return to CFW allowing. So if your are a CFW user and you want an added protection against a PSN ban. Then using your original disc and a Dual Boot firmware if the way to go see the Translated release quote below. Developer's Swizzy & Littlebalup have released the latest build of PS3DumpChecker, This tool is very useful in Hardware Downgrades has added support for v4.66 dumps and also has the addition of a new 4.66 no-FSM embedded patch. View the complete changelog for this release marked Build v469 found below and also checkout this link, for additional details about this application. PS3DumpChecker Build 469 is released with support of 4.66 dumps and a new 4.66 no-FSM embedded patch plus few minor corrections. As it seem's it cause soft-brick on some slim models, a new update has just been done to replace the embeded 4.66 patch by the Darkjiros one. My apologize for the troubles, if any. Changed: Because it was causing some soft-bricks on slim models, the embedded 4.66 patch is replaced by Darkjiros 4.66 patch. Following the update to IRISMAN, another Homebrew Manager for the PS3 has been updated to support 4.66 CFW. Now as developer deank has released his latest version of multiMAN, with the multi-purpose application now maturing to v4.66.00, this update has added Support to 4.66 CFW (CEX) and also adds a 4.66 Spoof for older firmware versions. View additional details [break]. [/break] below and view even more information about the feature rich application via this link. Update: developer deank has released a new version with the changes outline in the changelog below, A CEX and DEX version of the manager. Also a Stealth build was included. All updated with support for 4.65DEX, 4.65CEX and 4.66CEX. I hope that the DEX port is successful - sadly I can't test it. All versions are available for online update within mM/mmCM and CEX/DEX versions are available for download in the WEB column. It's been interesting to see the progress of the Vita Webkit Exploit and the Vitasploit over the last few weeks. Hykem, the developer working on the Vitasploit has posted some updates to his work. Specifically, Hykem has added support for firmware 3.01, improved module dumping, supports URI calls and added "run" command to the interactive shell[break]. [/break] For a better understanding of what is going on with the vitasploit, I encourage you to check out the Hykem's work at github by following the link below. Added support for firmware 3.01. Implemented support URI call test. Added "run" command to the interactive shell. 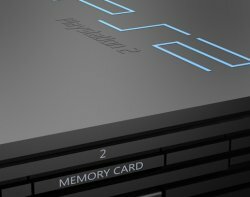 Following an official firmware update on the PlayStation 3 (PS3), there comes alot of activity in the Homebrew Community and that continues with the updated release IRISMAN from developer Aldostools. New in this update marked as v3.33 , the dev has added support & detection for future 4.66 CFW releases, An updated Game Fix for both JB games and ISO, Cobra CFW user's will have an updated version spoofer. Then this update gives a variety of other changes as seen in the changelog provided below. Also, by clicking this link you can see additional IRISMAN information.